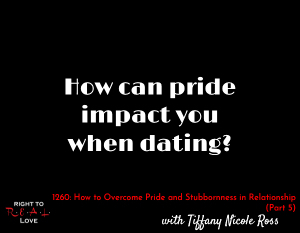 In this episode, Yahnathan concludes his discussion with inspirational speaker Tiffany Nicole Ross by addressing the question: How can pride impact you when dating? 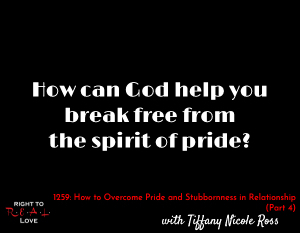 In this episode, Yahnathan continues his discussion with inspirational speaker Tiffany Nicole Ross by addressing the question: How can God help you break free from the spirit of pride? 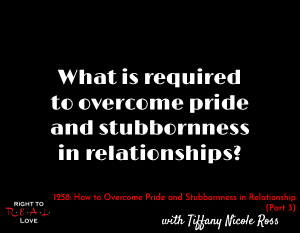 In this episode, Yahnathan continues his discussion with inspirational speaker Tiffany Nicole Ross by addressing the question: What is required to overcome pride and stubbornness in relationships? 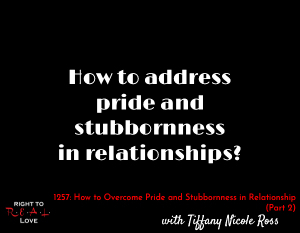 In this episode, Yahnathan continues his discussion with inspirational speaker Tiffany Nicole Ross by addressing the question: How to address pride and stubbornness in relationships?